The undersigned organizations strongly condemn the decision of the Supreme Military Court of Appeals issued on Monday 26 March 2018 to reject the appeal filed by two of the defendants in case No. 174 of 2015, military crimes west of Cairo and support the court ruling of death sentence, despite the prominent faults in the trial proceedings, thereby increasing the number of persons who exhausted their judicial proceedings and were sentenced to death to 31 persons. 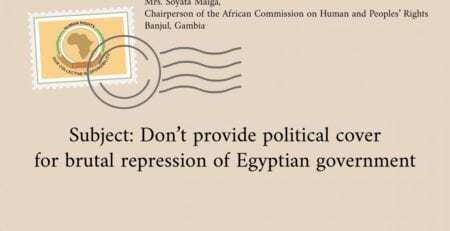 The organizations fear the speedy implementation of these sentences in light of the media clamor about the Egyptian presidential elections and demand an immediate cessation of the implementation of these judgments. 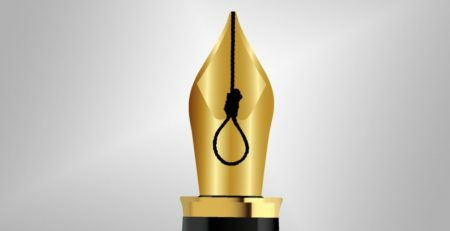 The undersigned organizations also regret the execution of death sentence conducted by the Egyptian authorities against 3 civilians last week. 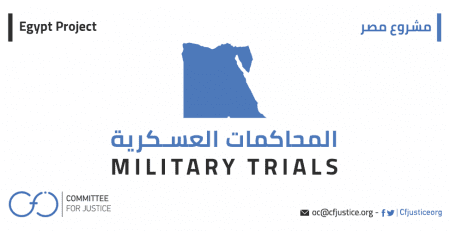 Those civilians were convicted in two different cases before the military judiciary trials without any consideration of the minimum guarantees of fair trial. This brought the number of the executed persons, who were trialed before the military judiciary to 24 persons in 4 months. In case No. 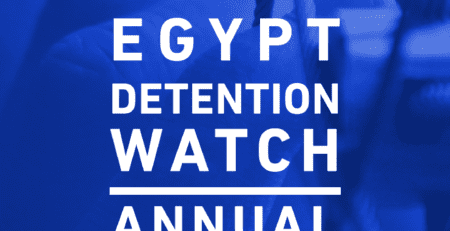 174 of 2015, military crimes west of Cairo, the Military Prosecution has charged 28 persons with crimes of disclosure of the secrets of defense and possession of weapons and explosives. On May 29, 2016, the Military Criminal Court handed down a death sentence against 8 of them and imprisonment sentences with varied periods against the rest of the detainees. The case’s procedures were tainted with a grave breach of the right to a fair and impartial trial; where at least 14 of the accused were subjected to enforced disappearance at various places of detention for variable periods, some amounted to 46 days, during which they faced torture and physical and moral coercion-their effects were evident in the first court hearing session- with the aim of forcing them to confess. 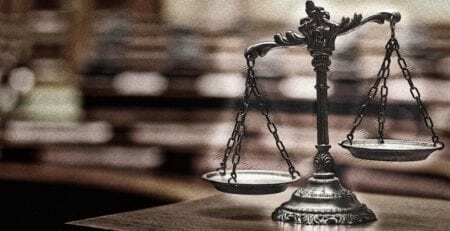 The defendants were also unable to communicate with their lawyers during their interrogation and initial investigations, in addition to violating the defense rights during the trial. On March 27th, 2018, the Military court accepted the appeal of 4 defendants who were sentenced with the death penalty, while rejecting the appeal presented by 2 other defendants on the same case namely, Ahmed Amin El-Ghazaly; graduate of Dar al Uloom College and Abd El-Baseer Abd El-Raaof; a student at the Naval Academy. With regard to case, No. 382 for the year 2013 before the Military Court of Ismailia, the death sentences were executed last week. 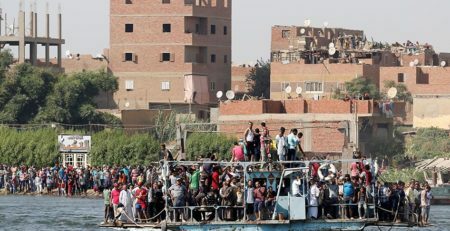 In the said case, the military prosecution of Ismailia charged the 7 accused persons with charges of killing the sergeant of the armed forces Osama Said Fathallah, and military soldier Yahya Mohammed Abu al-Majd, attempting murdering Captain Amr Abdel-Rahim Abdel-Al. In addition to possession of firearms and munitions. 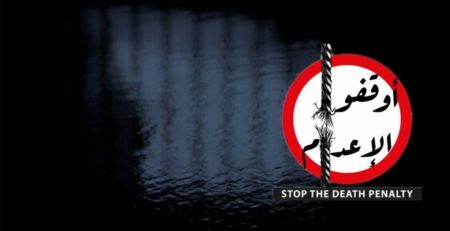 On February 24, 2015, the military court of Ismailia handed down the judgment of the death sentence by hanging against 2 detainees: Sulayman Muslim Eid Garaybea and Rebhi Jumaa Hussein Hassan, and the acquittal of the other five. 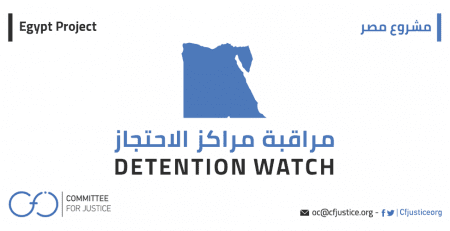 During the period of their detention, the accused were subjected to various violations of torture and enforced disappearance. In addition, there is a lack of evidence to confirm the conviction of the defendants, absence of the elements of the indictment and the causal link between the defendants and the crime according to the memorandum of inquiry issued by the Office of Military Intelligence in Arish. Moreover, there was a contradiction between the indictment and the statements of witnesses from the armed forces officers. In addition to the lack eyewitnesses at the time of the incident according to the defendants’ lawyers. The third case of Ayed Suleiman Ayad on charges of murder and possession of weapons and ammunition. In 2014, the Ismailia Military Criminal Court sentenced him to death by hanging, and he was executed last week. These judgments and its execution come in spite of the fact that the European Parliament issued on February 18th, 2018 and five UN Special Rapporteurs on January 26th, 2018 statements calling on the Egyptian government to suspend executions because they lack fair trial guarantees. In this regard, the undersigned organizations confirm their total rejection of the death penalty as it goes against the right to life, and reiterates its call on the Egyptian government to immediately halt executions and abide by the recommendations of the United Nations human rights mechanisms and immediately stop the transfer of civilians to military justice under Act No. 136 of 2014. The undersigned organizations also demand that the President of the Republic to use his powers conferred upon him by the law to abolish or stop the death penalty or replace it with another penalty, review all death sentences and ensure that defendants are brought to fair trials.